Back at the Hyatt regency in new Delhi. Puri paji. 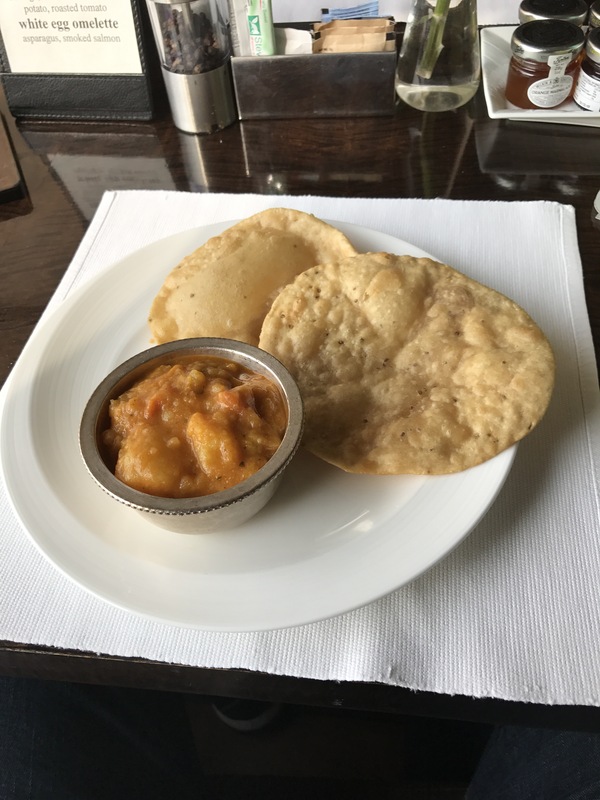 Deep fried Indian bread and potato curry. soft but crispy exvelleny for dipping. when I am traveling abroad sometimes I get “the tummy troubles”. It could be the new environment or the radical change in diet but one thing calms my stomach down and is readily available at most Indian hotels. One part pineapple juice (preferably canned) and one part sprite. My breakfast cocktail. 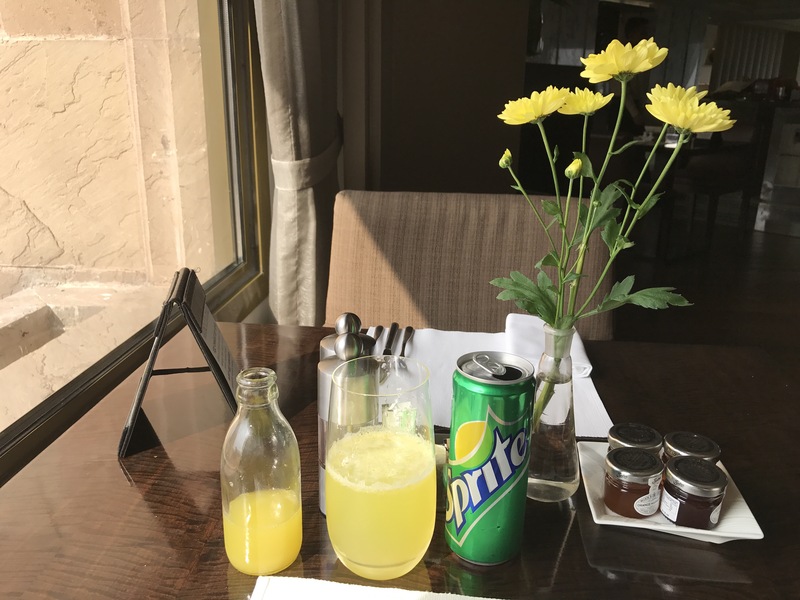 The hotel staff love to bring you fresh unmanned not-from-concentrate fresh pineapple juice but that will bubble up in an outrageous way when you introduce it to sprite. Impressive and fancy but no good for mixing!